Awards were given at the Officer of Emergency Management and Communications on Wednesday to call takers, dispatchers, traffic management and others. 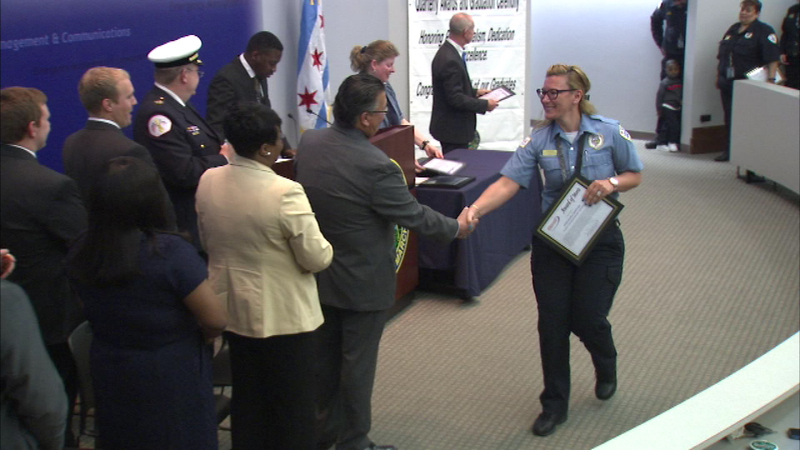 CHICAGO -- Some workers who handle 911 calls in Chicago were recognized for outstanding service. They were recognized for everything from their handling of a call about a police sergeant being shot to a 3-year-old boy who had gone missing.